During the holidays, many businesses experience a slow time between Christmas and the first few days of January. Some companies close during that time and others let some of their staff take vacation time. This helps to reduce payroll expenses during a slow period when not much work gets done. But there is work that should be done in preparation for the new year. Here are some things to consider getting done before the new year. Consider cleaning up your computer files before the new year. This will not only alleviate clutter on your computer, but it can also improve the performance of it as well. Look at the files that are on your computer and archive older files that are not in use. Portable USB hard drives can not only hold a great deal of files, but they can also keep files easy to access if you need them. 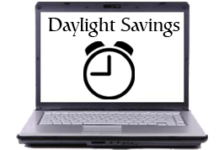 You might also use the time to look at your website and other technologies that you use as part of doing business. Is your website driving business to you or is it stagnating? Have you reviewed you SEO (Search Engine Optimization) plans? Are you ranking high on the search engines for the keyword terms that your potential customers use to find a company that delivers the products or services you offer? Before the new year, you should also do a look back and an inventory of what has happened to your business over the past year. Where have costs gone and have sales levels changed? You cannot go forward without looking back at what things you did right and where you may have slipped. Compare what you did this past year to what you were doing in previous years. This will help you know where you need to make improvements. When was the last time you looked at your business plan or your operational manual? This may be the time to review your plan and make updates and changes based on your current business status. Outdated procedure manuals can be confusing to new hires or existing employees when they need to know how to deal with particular situations or emergencies. Are your marketing materials current and relevant? You not only have to look at the content of your marketing materials for relevance to your products or services, you also have to look at them in terms of design and current trends. Offering customers or potential clients outdated marketing materials can have a negative effect on your small business versus your competitors. Maybe you have a room in your office that houses paper files, or maybe some of them can be thrown out or destroyed. You may even have some paper files that could be digitized and then shredded, but unless you look, you will never know. Slow times during the holidays may be perfect to hunker down and see what can be just tossed out, destroyed or digitized. During a clean-up, you may even encounter files that need to be updated or you need advice on, but you previously stored them away and were not thinking about them. 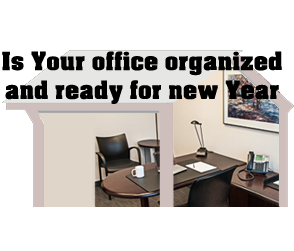 This time of year is also a time when you may want to consider what your office needs are and what they will be as you proceed into the new year. Maybe your business will need more office space, or maybe you will need less office space than you currently have. If you are not stuck in a long-term lease, maybe this is the year to make a move to an office space that better reflects your business needs and your business image. These days there are more options for where your business resides and what will work best for the betterment of your small business. One of the main things that businesses are looking for in office space is flexibility. They want to be able to grow the amount of space they occupy or they may want to decrease the amount office space they use. There are a lot of companies that are finding that their team does not need to work from a physical office all the time, and holding a dedicated office or desk for them does not make financial sense. This is where team space might work best, as employees share non-dedicated desks when they need to be in the office.